WANTED! 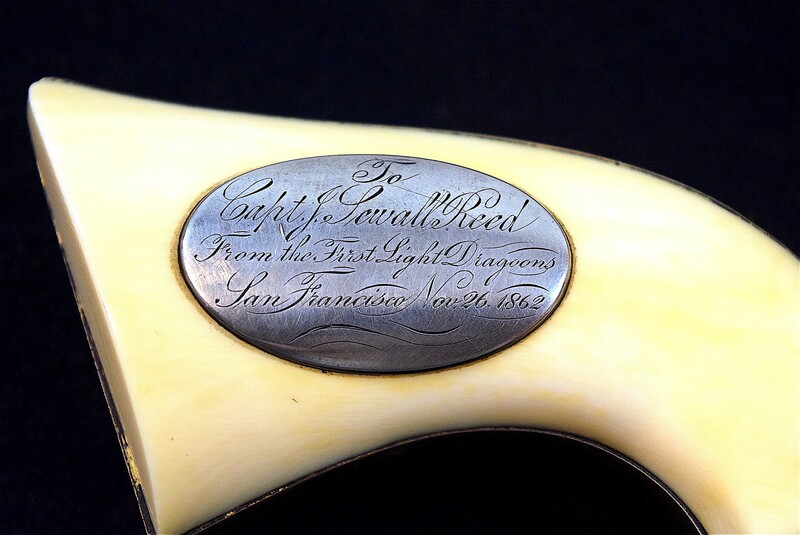 I am looking for a Colt 1851 Navy Revolver that was presented to Captain J. Sewall Reed of the First Light Dragoons of San Francisco. 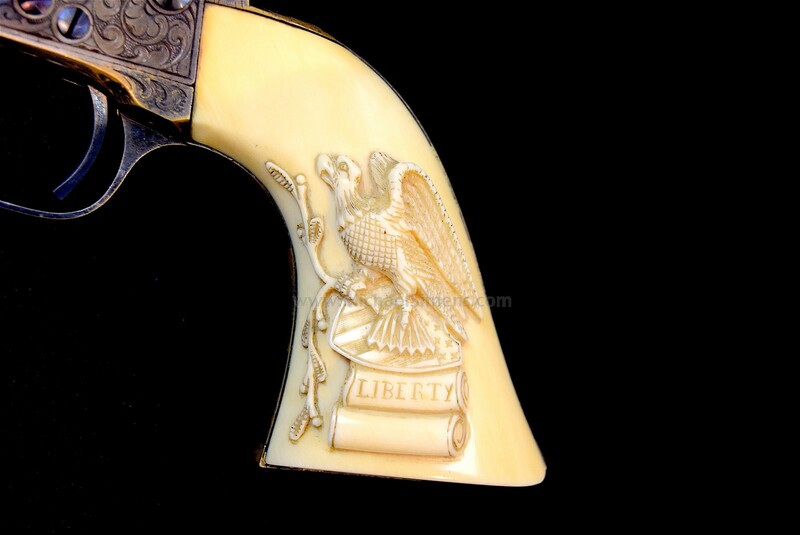 The Navy Colt I'm looking for is serial number 128237 and I expect that it has identical carved ivory grips to those in our photos, with an identical silver presentation plaque inlaid into the right grip. I own the mate to this gun and would like to re-unite these two revolvers. The gun is mentioned in the book, "Colt's History and Heroes" by John G. Hamilton, one of my earliest mentors who recorded this gun in the 1960's. I call on my fellow collectors of antique Colts to help me find this gun. If you own it or know of its whereabouts, please contact me at my email, "mail@historicalarms.net" as it has sentimental value to me and I'd like to learn more about it, as well as its chain of ownership.